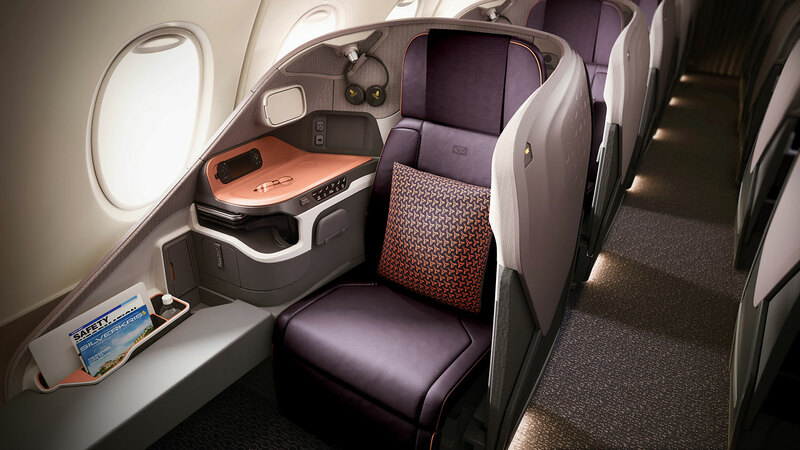 Singapore Airlines unveiled its highly-anticipated new cabin products which will be fitted to its Airbus A380 fleet, starting from next month on the first of five new A380 aircraft. Retrofit work will also take place on 14 existing aircraft too. 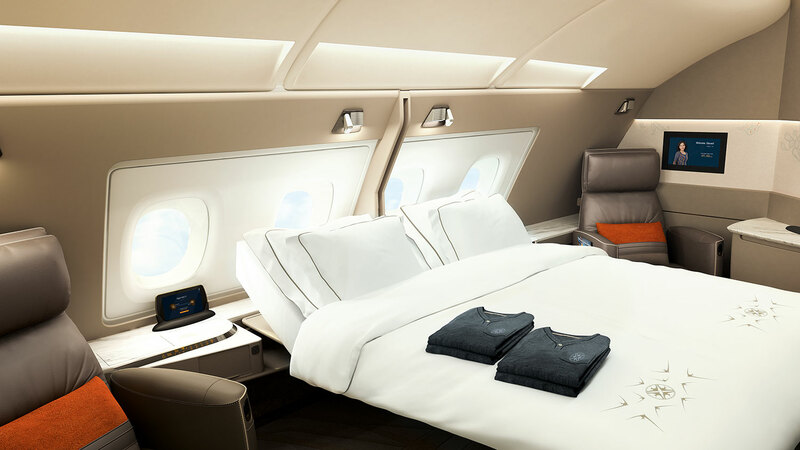 A total of six suites are tucked spaciously within the front cabin of the upper deck where you can experience a sense of exclusivity and intimate privacy aboard the A380. Each suite is furnished with a separate full-flat bed with adjustable recline and plush leather chair, enabling customers to lounge comfortably in the chair or rest in bed without the need to convert the bed from a sitting position. Couples traveling together can convert the beds in the first two Suites of each aisle into a double bed too. 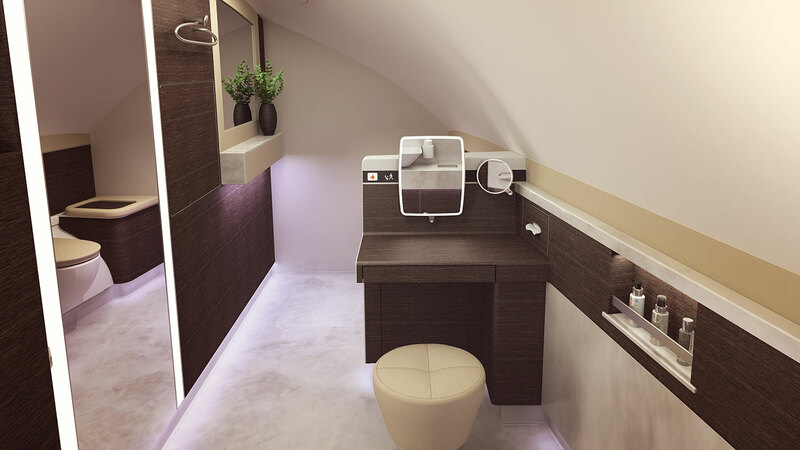 Each suite also has a 32-inch full HD monitor, a full-sized personal wardrobe, customised handbag stowage compartment, amenity box and a feature wall with mood lighting. The interior of the Business Class cabin showcases a modern yet organic colour scheme featuring a selection of soothing and classy leather and fabrics. 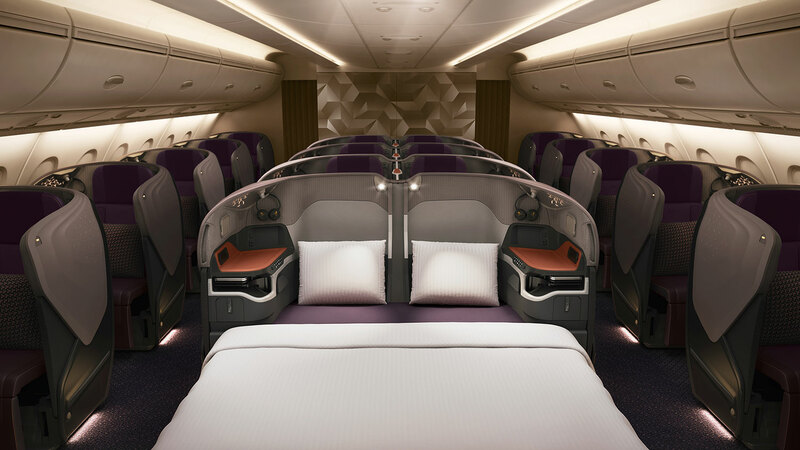 Measuring 25 inches in width, the Business Class seat, which has two side wings for better back support, reclines directly into a comfortable full-flat bed. You may also stretch out fully in a ‘sun-deck’ position to watch movies on the 18-inch HD touch-screen monitor too. Bakerzin Launched its own Asian Remix of King's Bread this Festive Season!